Much has been written about globalization and the challenge of preparing young people for the new world of work and life in times of complexity and continuous change. 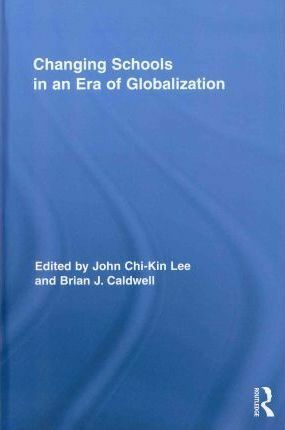 However, few works have examined how globalization has and will continue to shape education in the East. This volume discusses education within the context of globalization and examines what is occurring in schools and systems of education in the People's Republic of China, Hong Kong, Chinese Taipei, Singapore, and Australia. Closer examination of recent developments and current trends reveal the same turbulence and a range of common issues in areas such as assessment, curriculum, leadership, management of change, pedagogy, policy, professional capacity and technology. This volume demonstrates the commonalities and differences and offers tremendous insight into the way things are done in places where student achievement is high but there is also a sense of urgency in continuing an agenda of change. John Chi-Kin Lee is Vice President (Academic) and Chair Professor of Curriculum and Instruction of the Hong Kong Institute of Education. He was former Dean of Education of the Chinese University of Hong Kong as well as Guest/Adjunct Professor in more than twenty universities in Mainland China. Brian J. Caldwell is Managing Director of Educational Transformation Pty. Ltd. He is Professor Emeritus and a former Dean of Education at the University of Melbourne.